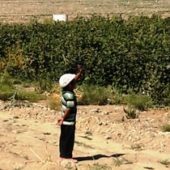 This report looks in detail at the 2018 cotton harvest in Turkmenistan and sums up suggestions from farmers on how to end the problem of forced labor once and for all. Had a drink? Go pick cotton! In Lebap region observers saw an innovative way of making citizens pick cotton. The pioneers were police patrols who stopped passersby out on the street late at night in order to check their identity and find out why they were out so late. If the passerby had had a drink, he would be taken to the nearest police station and given a choice: either three to five days in custody or 10 days cotton picking somewhere outside the city. Inebriation in a public place is punishable by a warning or fine under the Turkmenistan Code on Administrative Offenses. Moreover, the drunk has to behave in a manner “offensive to human dignity and public morality”, according to the Code. By threatening administrative custody, the police were clearly abusing public ignorance of the laws of the land. The people who spoke to ATN observers said it was no use trying to argue with the police. Observers in Mary region have already reported the involvement of conscripts in cotton picking. Throughout November when hardly anyone was left in the cotton fields, soldiers were sent in large numbers to pick the remains of the cotton. Last time ATN reported that tenant farmers reached agreements with officers at military units. The farmers have to fulfill the plan, come what may, so they pay their forced laborers to pick what is left of the cotton. The officers use their power over the soldiers to take them to the fields as unpaid labor. Who else would go to pick the last of the cotton in freezing weather for 0.2 manats — just over one American cent? ATN observers traveled around several districts in Mary region. An earlier report talked about soldiers in the cotton fields near the village of Mary GRES. 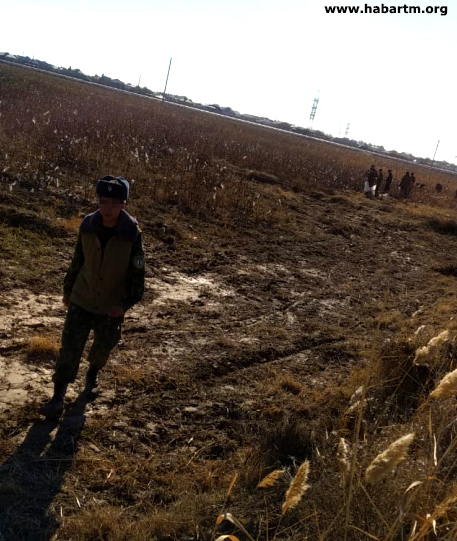 At the end of November observers in Vekilbazar district managed to speak to both tenant farmers and soldiers, despite the risk – the army officers and police are vigilant. The soldiers said it was usually the deputy commanders who decided to send them cotton picking. ATN did not manage to find out whether it was a local authority initiative to use servicemen in the cotton harvest or the initiative of individual officers at military units in Mary region. ATN has audio recordings confirming that the officers take the soldiers’ money for cotton picking and spend it on alcohol. Throughout the season ATN has reported instances of the use of public sector employees as forced labor – teachers, doctors and workers in municipal services, telecoms, the gas, electricity and water utilities. The season began with a car crash in the east of Turkmenistan. On the morning of August 31st a bus carrying cotton pickers crashed in the center of Turkmenabat. The pickers were members of staff at kindergartens and schools in the city. 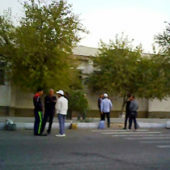 The accident happened on Bitarap Turkmenistan Avenue, not far from kindergarten No.62. No one died but several of the 40 passengers received serious injuries and were taken into intensive care at the new hospital. Other injured passengers were sent to the neurosurgery and trauma departments. It emerged later that half the passengers had been hired by teachers to go cotton picking in their place. The accident happened at around 7.00 in the morning because traffic lights at a crossroads were out of action. The bus was overcrowded with several people having to stand for the 30-km journey to Farap district. The Turkmenabat authorities tried to hush up the accident. Kindergarten and school staff whose colleagues were hurt in the crash and the doctors who treated the injured were all told to keep quiet about the accident. As in previous years, the first people to be sent cotton picking were support staff at state enterprises – street cleaners, gardeners and various municipal services employees; cleaners and security guards at pre-school, secondary and specialized secondary schools (colleges). Then it was the turn of plumbers, electricians and engineers in the energy, water and gas supply utilities. 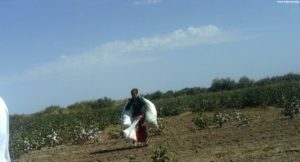 In November workers in all sectors of the national economy were sent to the cotton fields, some to remote districts hundreds of kilometers from their homes. On September 22nd an ATN observer at the long distance bus station in the city of Dashoguz, the central meeting point for public sector workers, recorded the involvement of at least 300 workers from different state services. People were sent off cotton picking every day, while education and health institutions in the city dispatched their employees from their own premises. The working and living conditions for these workers were a far cry from the descriptions in the state media. There was no sign of three meals a day, concerts, libraries or markets for the pickers in Dashoguz, Lebap and Mary regions. People worked from early morning till dusk, had a 30- or 60-minute break for lunch, eating the food they had brought with them, while in the evening they were bussed back to the city. When pickers were sent away to the fields for 10 or more days, they stayed at a temporary base rather than return home. In Diyarbekir village council in Ruhubelent district, Dashoguz region, the base was an ordinary house with an earth floor and no sanitation. Participation in the cotton campaign is obligatory for all workers in the public sector, with the exception of the police and special services. 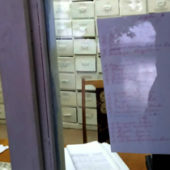 While teachers, doctors and other specialists could afford to hire other people to go in their place (at a rate of 20 manats a day), low paid workers in the public services had to go themselves. If anyone refused to go to the cotton fields or to hire a replacement, they were soon shown the door. When unemployment is high, there’s no shortage of takers for a job. The people of Turkmenistan know that the procurator’s office and courts will never take the side of the injured party, so to avoid the sack the majority of civil servants and public sector workers prefer to bow to their bosses’ illegal orders without demur. 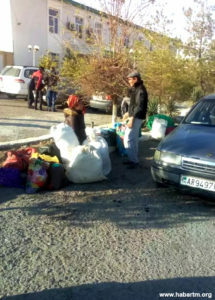 According to the law and conventions of the International Labor Organization, signed up to by Turkmenistan, forced labor is banned in the country, but the ban applies only on paper. It has been standard practice for several years now to give money to one’s boss for the cotton harvest, basically to hire other people. Forcing their staff to give money is an additional source of income for the heads of enterprises. Theoretically, the heads take 20 manats a day ($1) from 100 workers but actually hire only 50 people. The rest of the money stays in their pockets. ATN observers calculated that on average a public sector worker on lower than average pay has to part with half his wages during the cotton season. They could have spent this money, earned through their own hard graft, on their children and family. For many years after independence the Turkmen authorities bought mechanical cotton harvesters. According to the official media, the princely total of 1,076 harvesters was ready for the autumn 2018 season. This should be more than enough equipment to rule out the need for picking by hand as far as possible, but every year the practice of forcing public sector workers to join the harvest continues. There were no mechanical harvesters in the fields of Mary region at all in late September and early October, cotton pickers and farmers told ATN observers monitoring the harvest. The harvesters arrived late in the day, however – at the end of October. “We had harvesters roughly from October 10th to the beginning of December. Before this we either picked the cotton ourselves by hand or hired pickers from other places. In September the local people preferred to go to the fields of Yashlyk and Gawers in Ahal region. 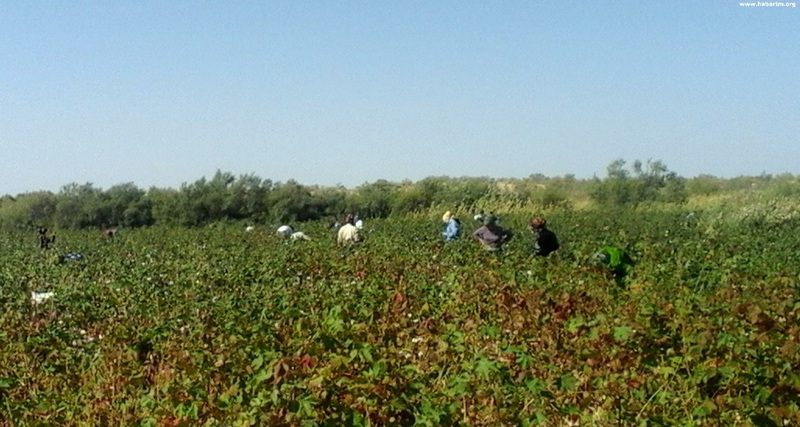 They were paid 0.40 manats per kilo of cotton there, while we paid less – 0.20 manats. Dilmurad and other tenant farmers told ATN observers that the mechanization of the cotton harvest, in their district at least, is improving year on year. There are mechanical harvesters working round the clock, though not enough of them. They think the problem of forced labor has other causes – the planned nature of the economy, the tough deadlines and the demands of leaders at every level to start sending in raw cotton as early as the middle of September. This is done primarily for reporting purposes. There’s also a material interest for the farmers, as the state pays a higher price for cotton harvested before the first rains. But the mechanical harvesters cannot work in the fields at this time as the cotton bolls are only 8-10 per cent open. So district and regional authorities force thousands of public sector workers to go cotton picking in order to harvest the most valuable crop and be the first to report to the president. That’s how it’s been since Soviet times and still is today. Stop setting dates for the start and finish of the harvest season and allow farmers to decide themselves when to start the harvest, depending on the sort of cotton planted and whether mechanical harvesters are to be used. Improve the availability of spare parts and other items for tractors and harvesters so that a breakdown does not put the machines out of action for a long time. At present the cotton harvester drivers have to find spare parts and change the oil themselves, paying for it out of their own pockets. That’s why they insist on cash payments from the farmers on top of bills for hoeing, plowing and leveling of the field, inter-row cultivation and dressing, defoliation and cotton harvesting itself. The cotton yield was low in 2018. Observers calculate that for example only around 60 per cent of tenant farmers in Mary region managed to meet the government target of three tonnes per hectare, though in the past they got five tonnes and more. In other regions, notably Dashoguz, the figures are different. The main problems are the lack of irrigation water in some districts in these regions, late deliveries of insufficient, poor quality fertilizer, in particular carbamide, and also a lack of tractors for sowing. Tenant farmers in Garagum district watered their cotton fields just three times in the entire season, though according to the norms they should have done it at least six times and should also have cultivated between the rows as many times too. Some cotton fields were not watered at all during the season in the recently virgin lands in the north of Turkmenistan and in the farmers’ associations in the lower reaches of the irrigation channels and ditches. 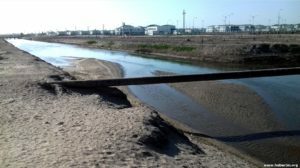 The farms located close to irrigation channels didn’t have any problems with water. Farmers in these fields can produce up to three harvests: at the end of November they clear the cotton and straightaway plant winter wheat; in June, after the grain harvest, they plant beet and harvest it in autumn, after which they hoe the land and plant cotton again in March. Tenant farmers who do not have unlimited access to water think that the state should either supply all farmers with the necessary volume of water or place different requirements on farmers depending on the availability of water. The cost of using water is the same – around 40 manats for the entire season – whether you irrigate your field once or ten times. There are also serious shortcomings in supplying farmers’ associations with sufficient quantities of mineral fertilizers to produce the planned yield per hectare. The state allocates just 375 kg of carbamide per hectare, which is very little. The farmers have to buy additional supplies themselves at a cost of 260 manats per tonne of carbamide. However, many use only what the state provides because they cannot afford to buy any. Normal cotton growth also requires phosphorous but this is in short supply. The quantity and quality of phosphorous produced at the chemical works in Turkmenabat does not meet demand and is not up to the standard of its Russian competitor. But Russian phosphorous is expensive and very few farmers can afford to buy it themselves. The cotton growing system is set up in such a way that farmers pay out of their own pockets throughout the growing period and only after they have delivered the harvest to the state can they receive payment of expenses and earnings. So those farmers who want a good harvest have to find money to make up the fertilizer shortfall, even by selling their cattle. On September 25th the decision was taken to increase the purchasing prices for cotton from the 2019 harvest. A tonne of medium staple cotton picked up to October 15th will be 1500 manats, 356 manats more than in 2018. Can this top-up spur on the tenant farmer to produce good results? Most importantly, will it help the Turkmen government free thousands of people from the obligation of picking cotton next year? Time will tell, but the tenant farmers are convinced there will be no major changes without cardinal reform of agriculture. Farmer Dilmurad harvested a total of 15 tonnes of cotton from his five hectares this year. 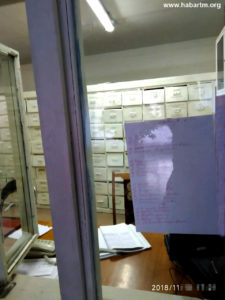 He expects to receive around 16,000 manats by the end of the year, but once compulsory contributions and payments for various services have been made his real income will be significantly lower. 40 manats for banking services. As a result, if the farmer also bought supplementary fertilizers and paid the forced labor drafted in from the cities, he is left with profit of around 10,000 manats or some 600 U.S. dollars. That’s $50 per month. This breakdown shows that next year’s increase of 356 manats won’t make much difference to the incomes of the farmers’ associations. 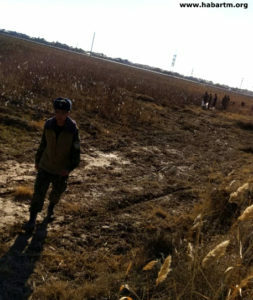 Unfortunately, instead of tackling the problems in agriculture, the authorities in the shape of the special services continue to hunt down whoever reports instances of the use of forced labor. Alternative Turkmenistan News declares that neither we nor our local observers, nor our foreign partners, are enemies of the country. We are interested in the economic growth of Turkmenistan and the fully fledged development of the cotton industry. Towels, bed linen, jeans and other textiles bearing the label Made in Turkmenistan are of very high quality. We would like to see these and other goods in shops around the world. 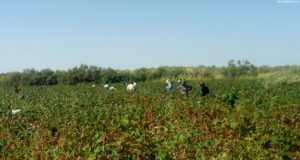 At the same time we would like to see an end to the forced labor of tens of thousands of Turkmen and a decent reward for the work of the producers – the farmers’ associations. Public sector workers have nothing to do with cotton – teachers should give lessons, doctors should treat patients and specialists at production enterprises should be keeping production running smoothly and doing professional repairs. We also call for freedom for our activist Gaspar Matalaev, whose only “crime” was to talk about the real situation of the cotton sector in Turkmenistan. Since he was arrested in 2016 the authorities have taken some steps to improve the situation regarding forced labor and we think this is thanks to Matalaev. Why is he still being punished? 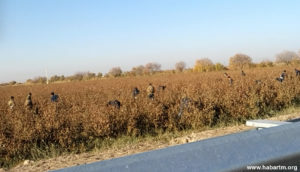 Changes in the cotton industry in neighboring Uzbekistan, though human rights activists describe them as cosmetic, are inevitable in Turkmenistan too. It is only a matter of time. As long as the Turkmen authorities fail to acknowledge publicly the problem of forced labor in the country and to take active steps to get rid of it, as long as they ignore the recommendations of the international community, Turkmen cotton and textiles will remain illegal in the West. Another active measure, in addition to those mentioned in the preceding paragraph, would be a public ban on the use of public sector workers as labor. It would be enough to announce this on TV and in the press, to give clear instructions to the regional authorities on the inadmissibility of mobilizing people to pick cotton and to create telephone hotlines to which anyone could make a complaint about being forced to do labor outside their profession. Public organizations could be tasked with raising awareness at enterprises. This fall Turkmen diplomats at the UN in Geneva and New York simply ignored the attempts of the UN Special Rapporteur on contemporary forms of slavery to start a dialog, leaving letters and phone calls unanswered. We think this will lead nowhere. 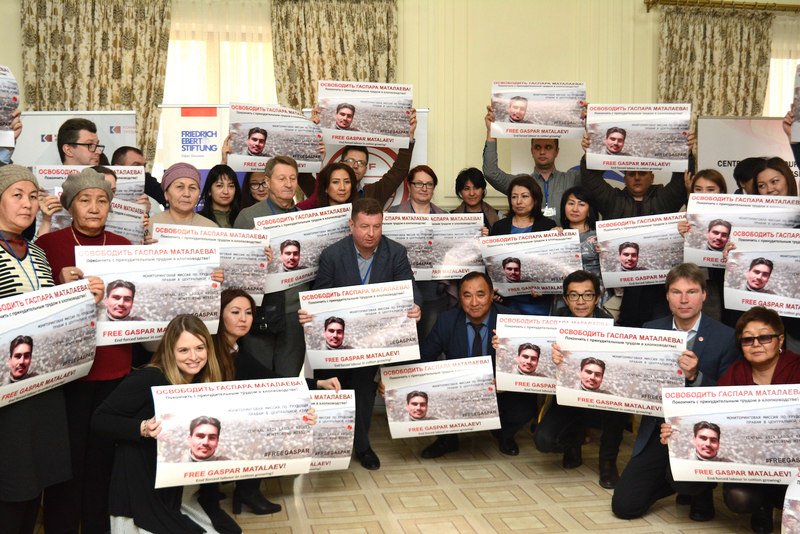 Without dialog, transparency and real action an ever increasing number of companies will sign the pledge not to buy cotton in Turkmenistan and not to make their clothes there. Cooperation with Turkmenistan in this sector will be considered poor form. With good will the country’s leadership can stop this happening.